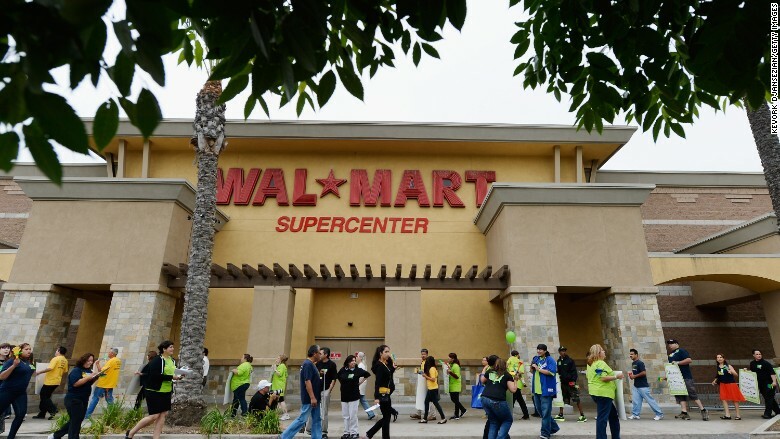 A union-backed group is trying to block Walmart from closing stores it charges are being shut due to worker protests for higher wages. Walmart (WMT) unexpectedly closed five stores last week for what it said were severe plumbing problems. That put 2,200 people out of work. But the United Food and Commercial Workers union filed an injunction with the National Labor Relations Board on behalf of Walmart Monday seeking to stop workers from losing their jobs. It wants the NLRB to force Walmart to rehire all of the terminated workers. Walmart said workers at the affected stores were given two months pay, which is required under federal law regarding layoff notices. But the workers could be out of a job by mid-June unless they find a position at a different Walmart store. The stores are expected to be closed about six months for repairs. A protest last year by Walmart workers in front of the store in Pico Rivera Calif. But OUR Walmart says the company's claim of plumbing problem is just an excuse to punish workers for protesting for higher pay. 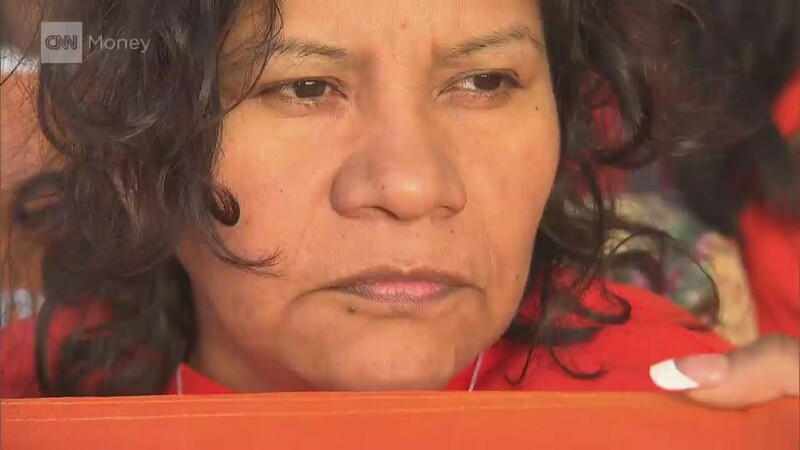 Workers at the store closed in Pico Rivera, California, led one of the first Black Friday protests back in 2012. "This is a new low, even for Walmart," said Venanzi Luna, an eight-year Walmart worker at that store and a OUR Walmart member. "We know that Walmart is scared of all we have accomplished as members of OUR Walmart so they're targeting us. It's unfortunate that Walmart has chosen to hurt the lives of so many people, just to try to conceal their real motives of silencing workers just like they've always done." 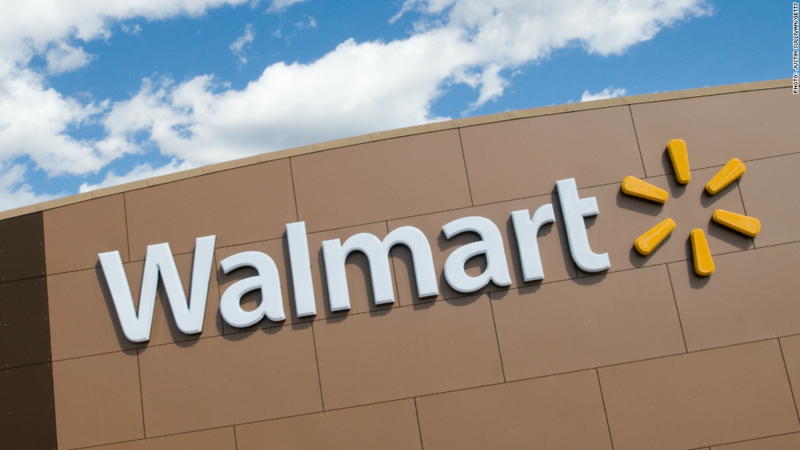 Walmart said that there is no basis for an injunction. "As we have said all along, these stores were closed temporarily so we could fix the ongoing plumbing issues and it would be unfortunate if this outside group attempts to slow this process down for our associates and customers," spokesman Lorenzo Lopez said. These five stores had more plumbing problems than any of the company's more than 5,000 Walmart and Sam's Club locations in the U.S., he added.